Our Michigan dog bite lawyers represent United States postal workers and mail carriers in dog bite and animal attack cases. 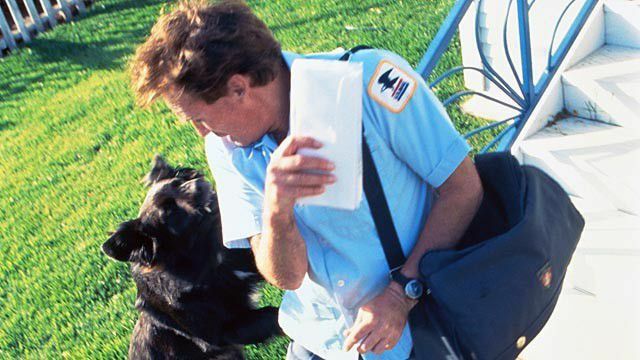 Mail carriers are often the victims of dog bite and animal attacks while delivering mail to homes and office buildings. Because many postal workers deliver mail by foot, they are extremely vulnerable to attacks from unleashed and unrestrained dogs in the neighborhood. Postal worker attacks by other animals are also not uncommon. If a mail carrier suffers an injury from a dog bite or is attacked by a dog or other animal, such as a cat, rabbit, or ferret, while delivering mail to a residental home, the postal worker has two types of claims arising out of the dog bite or attack under Michigan law.The first claim is a claim for workers compensation benefits, where the injured worker will receive wage loss benefits during the period of disability from the attack, and also receive medical expense benefits for all treatment related to injuries from the animal bite and/or attack. The second claim is against the dog owner or animal owner for pain and suffering damages resulting from injuries from the animal bite or attack. Dog attacks often result in significant scarring and disfigurement and bone fractures. Under the Michigan law for dog bite injuries and attacks, the owner or keeper of the dog may be strictly liable for the attack and for failing to keep the dog properly leashed. Additionally, the animal owner will be responsible for repaying the workers compensation benefits paid out by the U.S. Post Office or utility company. An excellent free guide to Michigan dog bite laws written by Michigan dog bite lawyers is "The Utimate Michigan Dog Bite & Animal Attack Handbook" that you can download for free from our site, or have a hard copy shipped to your residence. It is important that you contact our firm immediately after the attack so that we can begin our investigation, order medical records, and obtain witness statements.